Power through your day beautifully with up to 14 hours of battery life, latest Intel Core processor, and stunning touchscreen in a thin, light design and rich colors. 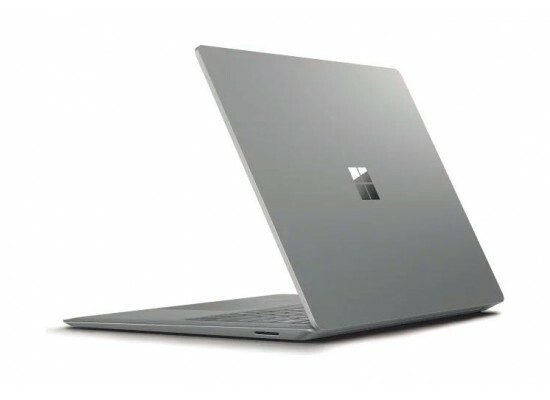 Surface Laptop is designed for Windows 10 streamlined for security and superior performance. Get work done with Office all day, listen to Spotify, and unwind with your favorite shows on Netflix and Hulu. 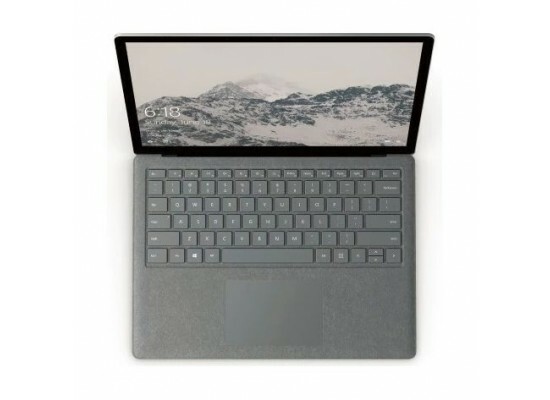 Surface Laptop provides the perfect blend of texture, subtle details, and clean, elegant lines—plus the luxurious touch of our Signature Alcantara material-covered keyboard. The keyboard is covered in stunning Alcantara, an innovative material sourced in Italy. Used in other high-end luxury goods, Alcantara ages beautifully. Wonderfully soft and incredibly durable, our Alcantara covered keyboard is treated with a high-performance polyurethane coating to resist spills. Like most of your favorite things, your Surface will look its best with regular care. To keep the keyboard looking new, simply wipe clean with a damp lint-free cloth. You don't have to choose between power and traveling light. 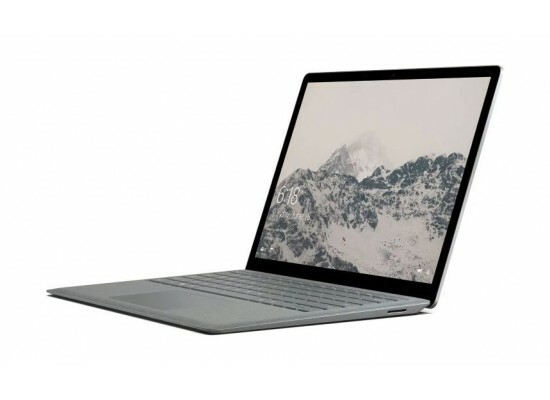 Starting at just 2.76 pounds, Surface Laptop gives you an ideal balance of both, plus all-day battery life—up to 14 hours. Experience faster, more natural navigation on the vibrant 13.5-inch PixelSense Display with an immersive touchscreen. 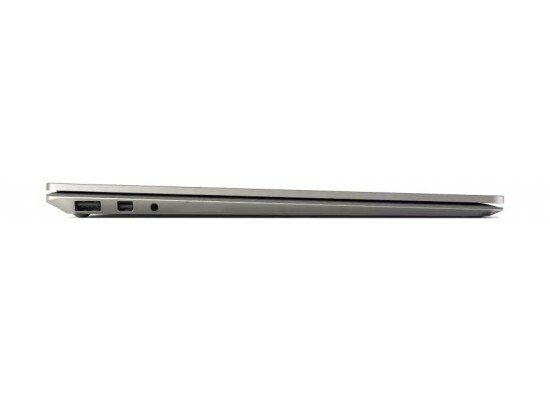 Enjoy more space for your ideas with an edge-to-edge display and ultra-thin bezel. 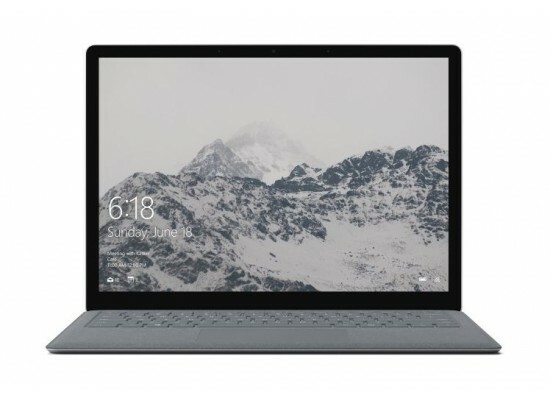 Surface Laptop is thin, light, and powerful, with luxurious touches and a perfect balance of performance, portability, and battery life to see you through long days on campus in style.